We had an early flight from Sacramento to Spokane during Labor Day Weekend so I figured a Mimosa was in order. LOL. 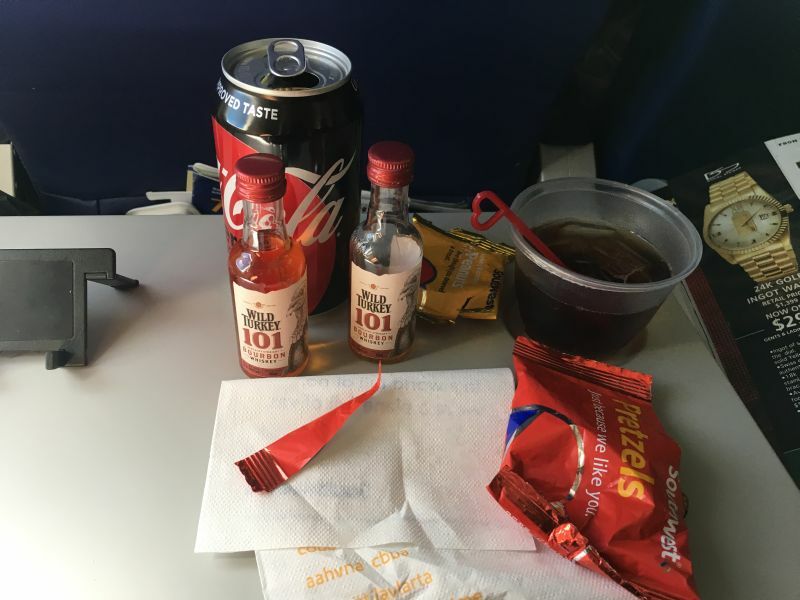 I had a lot of Southwest Drink Coupons for this trip! Joy wanted to stop at an Ivar's Seafood for lunch after getting into Spokane. 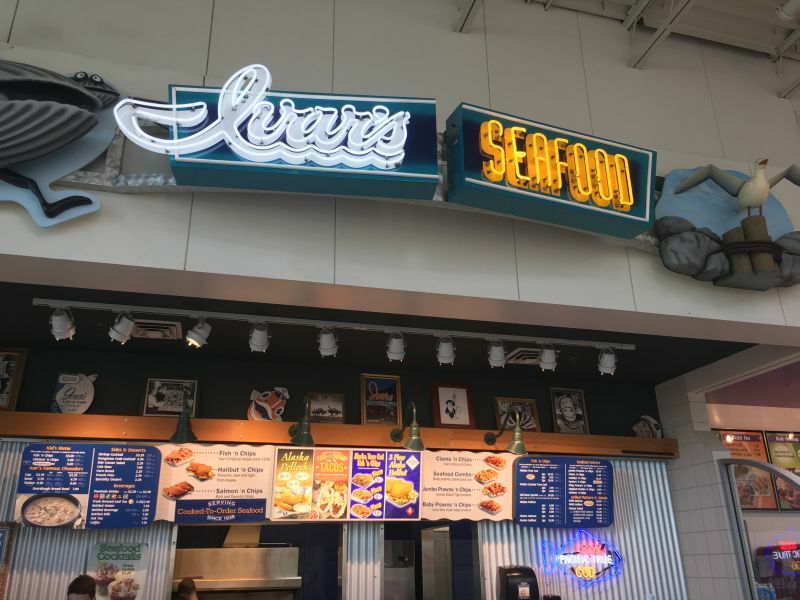 We had experienced Ivar's when we went to Seattle. Our first stop after picking up our rental car at Spokane International Airport was the mining town of Wallace, ID. Wallace had "legal" brothels until the 1980s. They were not technically "legal," but they were not underground either. 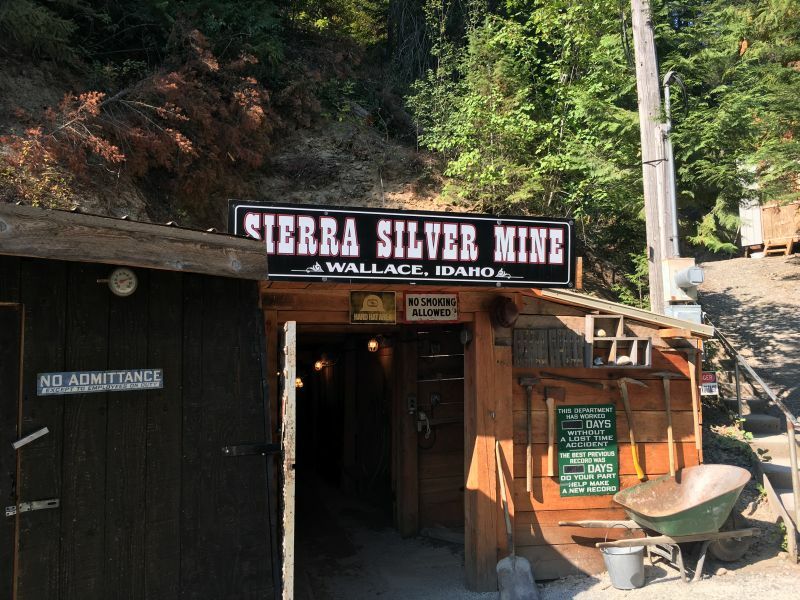 We took a tour of the old Sierra Silver Mine near Wallace after checking out the downtown area. The silver mine tour was really cool. I can not imagine how hard the daily routine was of a miner back when silver was first found in that area. 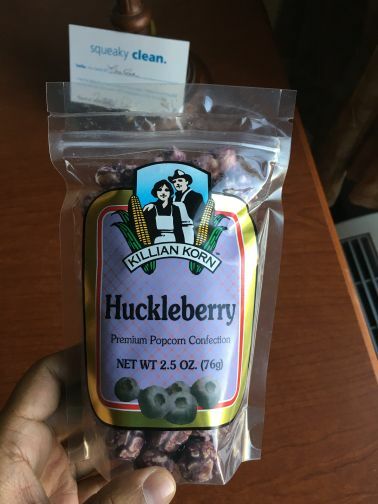 My "local" welcome HHonors Diamond snack at the Hampton Inn in Missoula was Huckleberry popcorn. Huckleberry flavored ice cream and other treats are very popular in this part of the country. After checking into our hotel in Missoula, Montana, we had dinner at Cracker Barrel. This was my first time trying one. The food was great! We stopped at Flathead Lake on our way from Missoula to Kalispell for lunch. The views were amazing from this little restaurant. The food was not bad either. I tried emu for the first time! 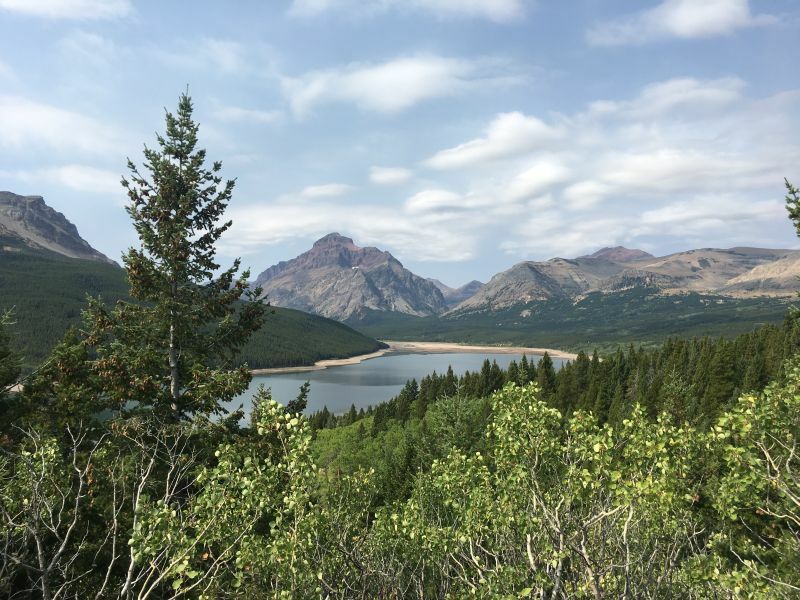 This vista point on the way to the St. Mary's Entrance to Glacier National Park was just spectacular! 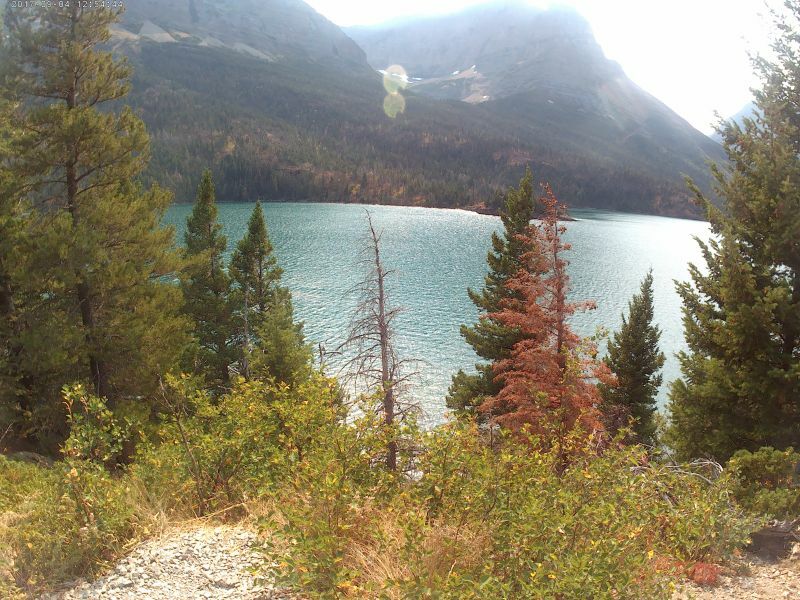 After entering Glacier National Park, we hiked around St. Mary's Lake. The water was an amazing shade of blue color. Our hike took us down to a really nice waterfall. Here is another great view of St. Mary's Lake. The famous "Going To The Sun" Highway inside the park was amazing. It was partially closed due to the wildfires, but we got spectacular views still. Glacier National Park is probably my 2nd favorite park after Yellowstone. This was one of the visitor's centers inside the park. 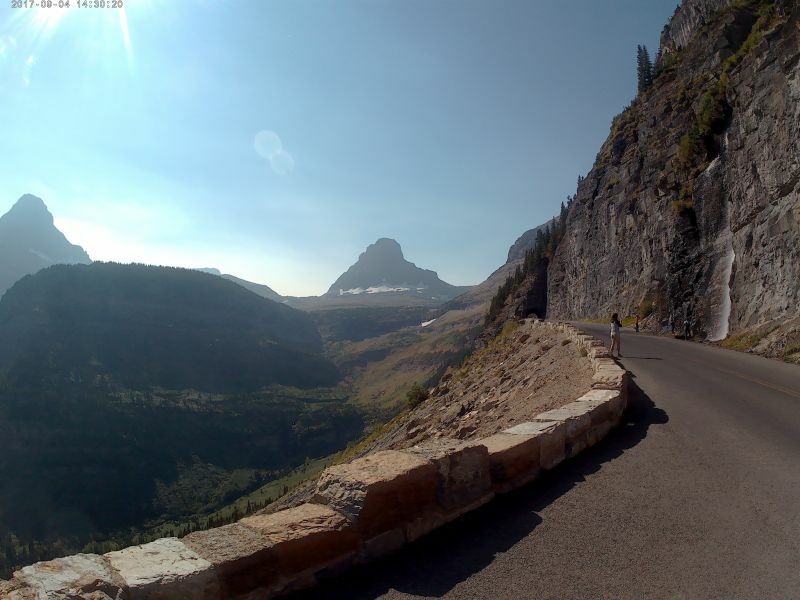 This is another great vista point on the Going To The Sun Road inside the park. The Jackson Glacier is in the background. It is one of the many glaciers inside the park. 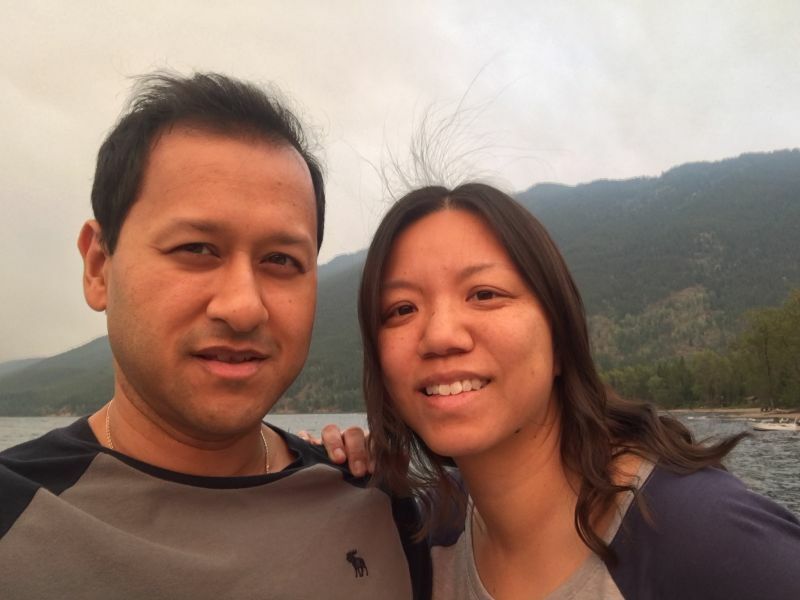 Here is a picture of Joy and I near Lake MacDonald, which is on the other side of the park. There were lots of wildfires all over Montana, Idaho, Oregon, and Washington that summer. Part of the park was closed because of large wildfires. 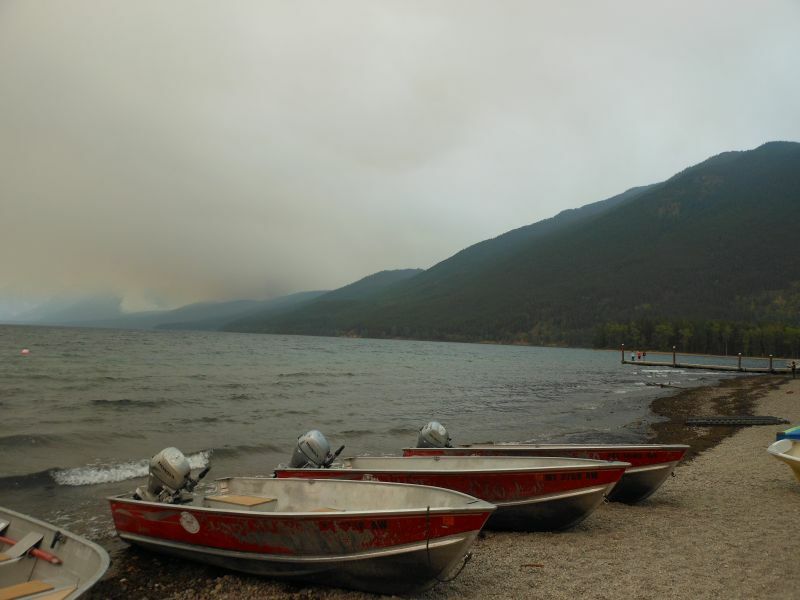 One can see the smoke from Lake MacDonald. Joy and I had dinner at the Stillwater Fish House in Whitefish, Montana after touring the park. The food was delicious! 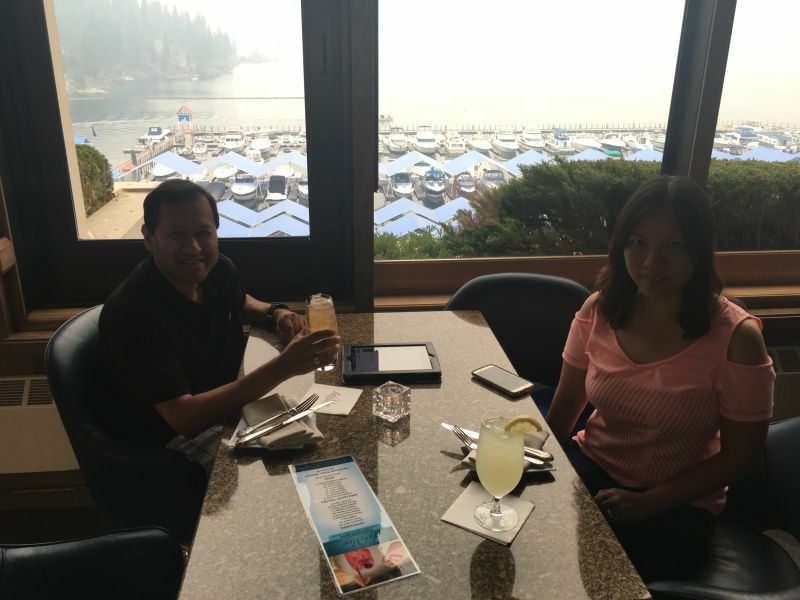 We enjoyed Happy Hour and the views from Beverly's Restaurant at the Coeur d'Alene Resort on our way back to Spokane. Unfortunately, the views were smoky because of the wildfires. The food was amazing! 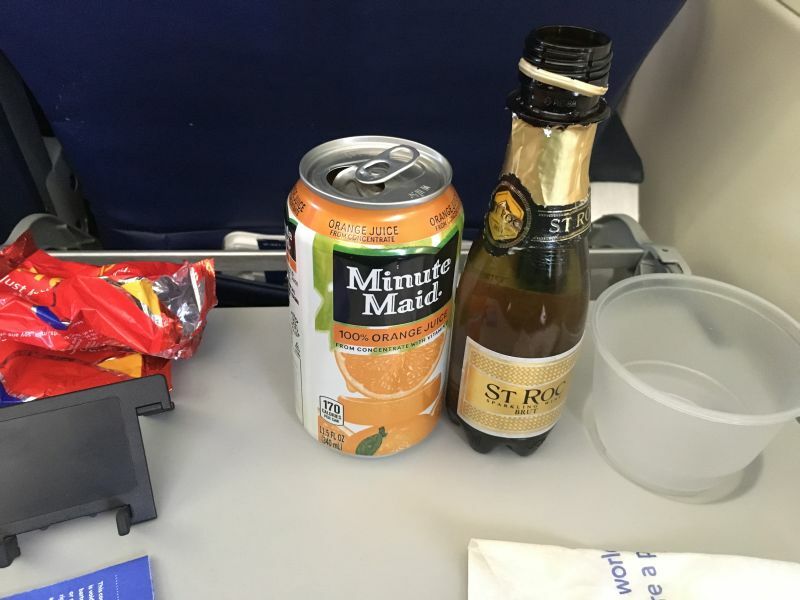 I drank my "lunch" to Sacramento from Spokane. LOL. Joy and I decided to go explore Glacier National Park in Montana during Labor Day Weekend in 2017. Since we had to fly up to Spokane to begin our adventure, we mapped out some stops along the way in Idaho and other cities in Montana too. Our first stop after arriving into Spokane was Wallace, Idaho. Wallace is a historic mining town in the panhandle of Idaho. The town was booming during the mining days, and there were even brothels out in the open throughout town even though it was not legal technically. We toured the downtown area before taking a tour of the old silver mine outside town. Afterwards, we checked out a local flea market too where I found some cool souvenirs. Moreover, I got to try huckleberry ice cream which is very popular in that part of the country. We continued our drive through Idaho into Montana. I booked a hotel in Missoula, Montana for our first night. 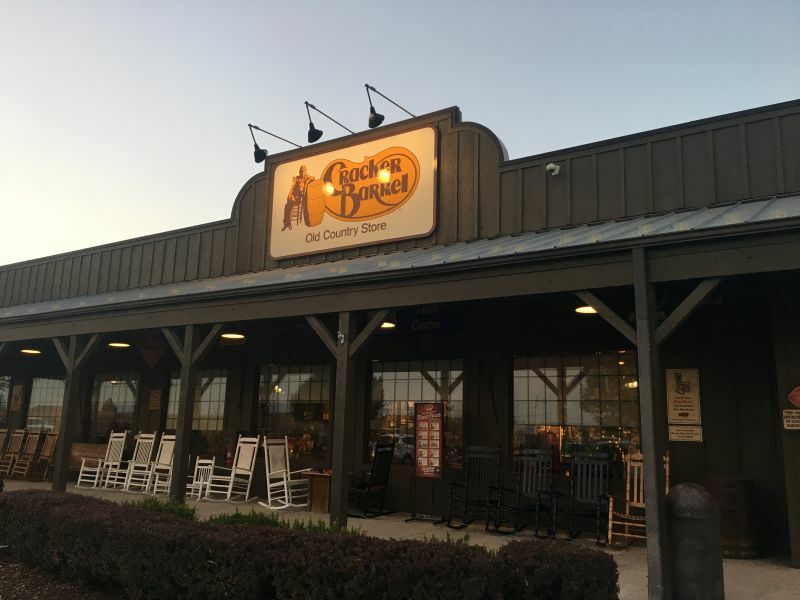 After checking in, we had dinner at a Cracker Barrel Country Store and Restaurant. 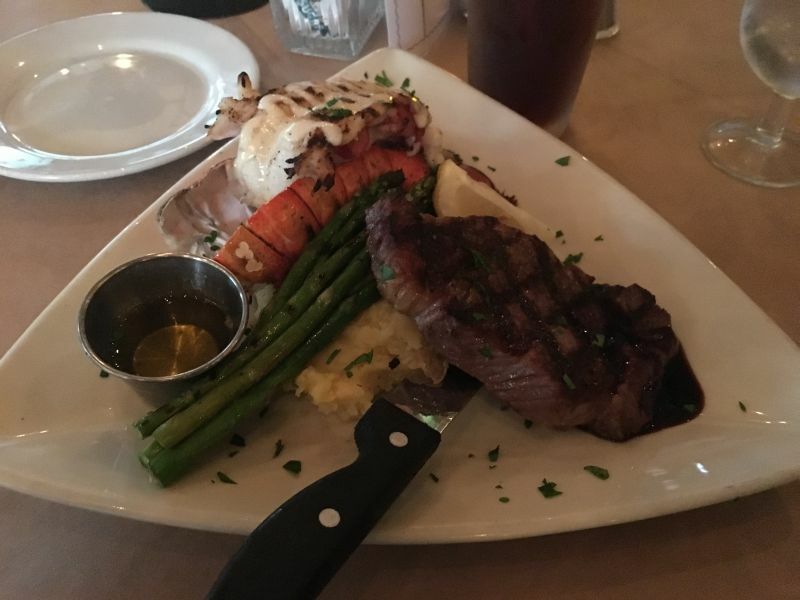 It was my first time there, and the food was amazing! That night, we explored Missoula including a park on the Clark's Fork River. We also checked out a bar near the university. The people in the bar were so friendly. One guy even invited us to a Labor Day BBQ at his place, but we were not going to be in town that night. Another random guy bought us a round of drinks too. Small towns are awesome. The people are so nice! The next day, we drove through the Flathead Lake area to Glacier National Park. Along the way, we stopped at the Raven's Bar, which is a nice restaurant on the lake. The views were amazing despite all the smoke from the wildfires. I tried an Emu Burger for the first time. There were lots of cherry orchards around that area too. 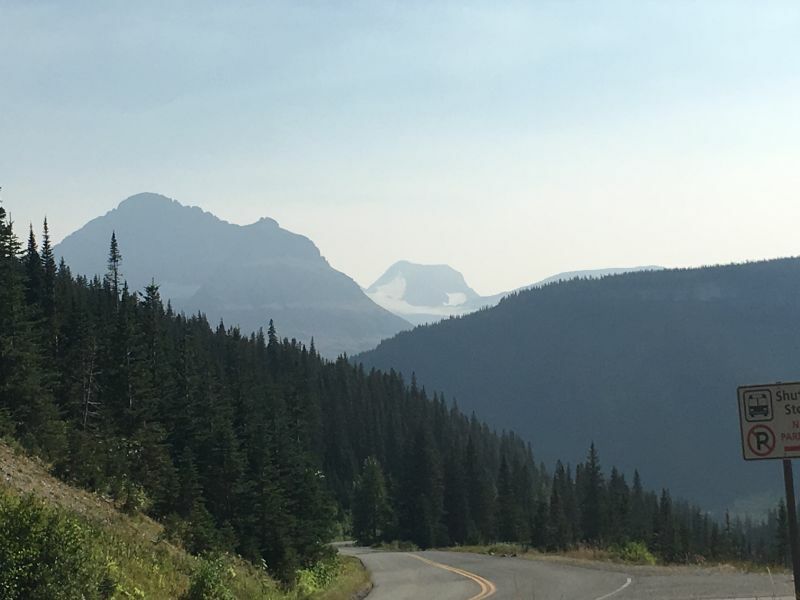 When we got to the park, we were disappointed to learn that part of the Going To The Sun Road was closed because of a major wildfire inside the park. As a result, the only way to explore the park was to drive all the way around the Eastern side of the park to the St. Mary's Entrance. Since it was getting late, we decided to wait until the next day to go explore the park. We just headed to Kalispell to check into our hotel and explore the small town. We drove out to the St. Mary's Entrance the following day. The other side of the park was not smoky at all. The views that we saw during the drive were amazing. Glacier National Park is definitely worth a visit! After we entered the park, we stopped by the St. Mary's Lake Picnic Area to have lunch. We bought some food from the local general store for lunch. Afterwards, we hiked down towards the lake, and we ended up at a beautiful waterfall. Afterwards, we headed out on the Going To The Sun Road. Along the way, we saw the famous Jackson Glacier. The drive up to the visitor center was so cool. I took my new 4K action camera with me so I could capture the amazing vistas. The road was closed at the visitor's center so we walked around and took in the views before heading back to Kalispell. That night, we had a great dinner at the Stillwater Fish House in Whitefish, Montana. We even checked out a cool local brewery in Whitefish that night. The next day, we drove back to Spokane. We stopped in Coeur d'Alene and enjoyed a visit at the Coeur d'Alene Resort. They have a restaurant on the top of the resort called Beverly's with great views of the lake. Unfortunately, the air was so smoky still. The food was great however.